Is it time to call in Mark Harmon and NCIS? 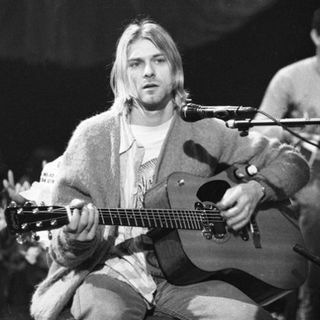 Nearly next to 20 years after music lost Kurt Cobain. The Seattle police department has set aside their Polaroids and developed four rolls of film. Snap shots of the scene. Which until now were never and have never been used as evidence. That maybe...could be. Something other than a self inflicted puncture took place. The SPD clearly points out: They haven't reopened the investigation. You can't hide what's been written about. ... See More Nor can you change the final outcome. But there still remains the conspiracy theories that contradict what the Polaroids pictures were painting. Who killed Kurt Cobain?